An empty philosophical exercise: Corrie Tan isn’t impressed by the “flat, dry” UK premiere of Ferdinand von Schirach’s globe-trotting interactive play. Terror, Lyric Hammersmith. Photo: Tristam Kenton. Terror couldn’t have arrived on the London stage at a better – or worse – time. The play was programmed prior to the series of shocking, heart-breaking terror attacks that have taken place in the capital this year – but the broad premise of its mononymous title can’t shed that added ring of scepticism and intrigue. Terror tackles the aftermath of a possible terrorist attack, but from inside the wood-panelled walls of an elegant German courtroom, the late afternoon sun streaming in through its large, glass windows. Fighter pilot Lars Koch (Ashley Zhangazha) is on trial for shooting down a hijacked passenger plane carrying 164 civilians, against orders, in order to ostensibly save its target – a football stadium packed with 70,000 spectators. The prosecution (a vigorous, engaging Emma Fielding) and the defence (Forbes Masson) state their cases to us, the audience, so that we might make some sort of reasoned, rational decision and vote on Koch’s guilt or innocence. The proceedings are clipped, formal, and deliberately devoid of emotion, save for what feels like the obligatory injection of an external ‘human element’ close to the end. “The world is not a seminar for law students,” the defence counsel declares – but this play really is. It whips out every moral dilemma in the philosophy textbook, from variations on the Trolley Problem to name-dropping Kant. The entire case rests on the tired arguments we’ve heard before: the fighter pilot is playing God; privileging the lives of the many over the lives of the few; valuing the quality of the lives on the passenger plane as opposed to the stadium. Writer Ferdinand von Schirach has attempted to scrub emotion and personal prejudice out of the equation in this courtroom drama (although one could argue there was hardly any drama in this flat, dry production) by compelling his audiences across the globe to act on reason rather than instinct in evaluating the pilot’s actions. But what this really means is that the entire play becomes a clinical, reductive Trolley Problem in itself, disconnected from the complexity and the chaos of the real world. The pilot’s actions are presented as a clear binary, and fighting terror becomes a zero-sum game, when neither of which are the case. Von Schirach has converted the courtroom into a referendum, and the hundreds of audience members into an electorate. We’re not jurists poring over the facts of the case, weighing the information and analysing it – participation is minimal, and there’s no compulsion for the audience to rigorously interrogate their decision and its implications beyond a couple minutes at the interval over drinks and ice-cream. And beyond that, the entire premise of this participatory voting is flawed. Are we voting on the guilt of the pilot? Because he is undeniably guilty of either mass murder or manslaughter. Or are we voting on the legality and the validity of the laws and the constitution he’s contravened? By conflating the two, this play confuses the potential debate it stirs among its audience members with the promise of participation and their impact on the play’s outcome. On the night I watched Terror, the audience voted as most of the rest of the global audience had already voted (see statistics here) – 65% not guilty. My companion and I left the theatre feeling as though we had participated in some sort of empty philosophical exercise, that the deck had already been stacked in favour of the pilot, in favour of the flesh-and-blood individual present on stage whom the audience could relate to, rather than the hypothetical hundreds or thousands who could have lost their lives, or already had, due to the press of a button or the flip of a switch. 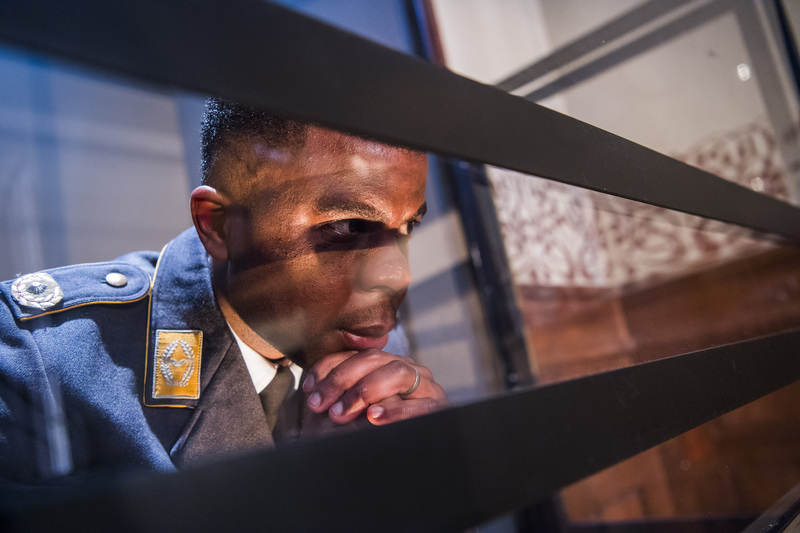 Terror is at the Lyric Hammersmith until July 15th. For more details, click here.